Amazon is now making a popular, fast-moving game for 1/72nd scale models available in print. 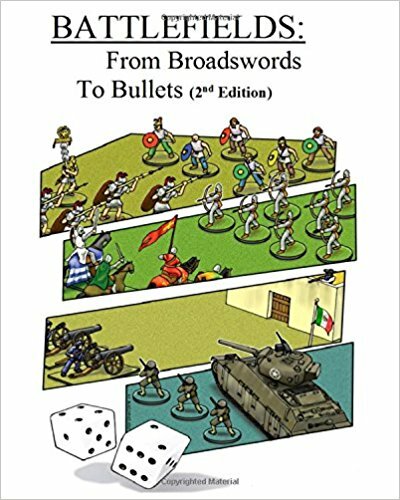 Battlefields: From Broadswords to Bullets allows you to simulate skirmish battles from any era in history using widely available low cost “HO” plastic soldiers. These rules provide for an exciting game with realistic rules and quick turn sequences. Previously only available in Kindle form, the game book can now be purchased on Amazon for under ten bucks. With HO figures available ranging from Trojan warriors to modern troops, this game covers them all. Choose from any historic conflict, create your armies, then match them in battle with your friends over soda and chips (or pretzels and beer). 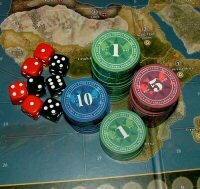 The rules are fast moving and create an exciting tempo of play that realistically simulates the tactical dilemmas of skirmish combat. All you need is some commonly available model soldiers, some regular six sided dice, a measuring stick and these rules.